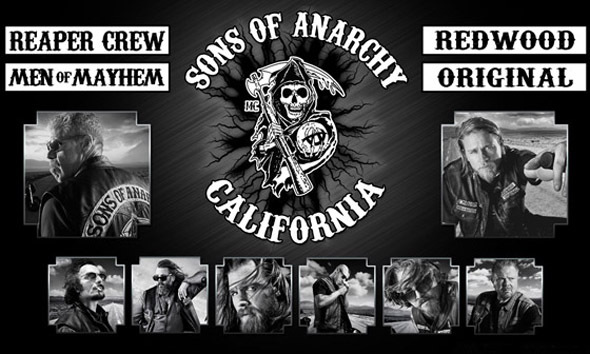 Sons of Anarchy is an American television drama series created by Kurt Sutter, about the lives of a close-knit outlaw motorcycle club operating in Charming, a fictional town in California's Central Valley. 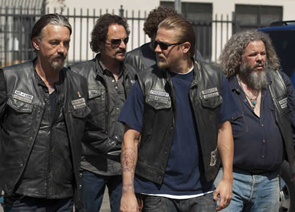 The show centers on protagonist Jackson Jax Teller, initially the vice president of the club, who begins questioning the club and himself. Jax's estranged meth-addicted wife Wendy, pregnant with his child, collapses. An emergency C-section is performed and a baby boy is delivered ten weeks prematurely. Jax names the child Abel. Jax goes to a storage unit to collect some old baby clothes. There, he discovers a "manifesto" outlining what the now-deceased founder of SAMCRO hoped the club would become. The outlaw motorcycle club is so cool in this show! 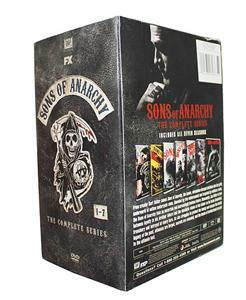 Sons of Anarchy seasons 1-7 DVD set is hot on sale! 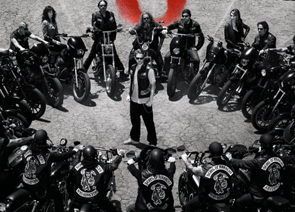 Sons of Anarchy Seasons 1 to 5 DVD Is on Sale!